Is your copier still able to keep up with the demands from your business? Do you find yourself struggling with your machine or the new demands that have come with growth? If so, then it’s probably time to consider an upgrade on your office copier. Upgrading your office copier is a great way to get your business working like it should. 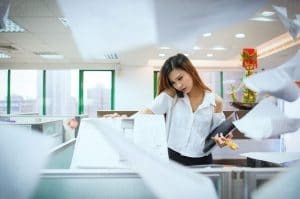 Copier upgrades are a necessary part of your business. Your old machine may just not be able to keep up with the demands from your business. You may have experienced growth which means that you have new demands that your old machine cannot handle. Regardless of the reason, you should consider getting your upgrade with Denver Copier. A great copier upgrade gives you the chance to get the right machine for your business. This means that you can get something that is going to get your business working great now, and into the future. The best time for a copier upgrade is when you are already nearing the end of your lease. This gives you time to shop around and look for another company. Alternatively, you can start another contract with your current company and negotiate a great contract if you keep working together. Give us a call if it is time for you to get a copier upgrade. Together we can get you a machine that you will love and that will truly help your business.